Hmm… There seems to be a standing order for me to acquire the “Green Lantern” movie 3.75″ figures that I’m interested in but still lack. 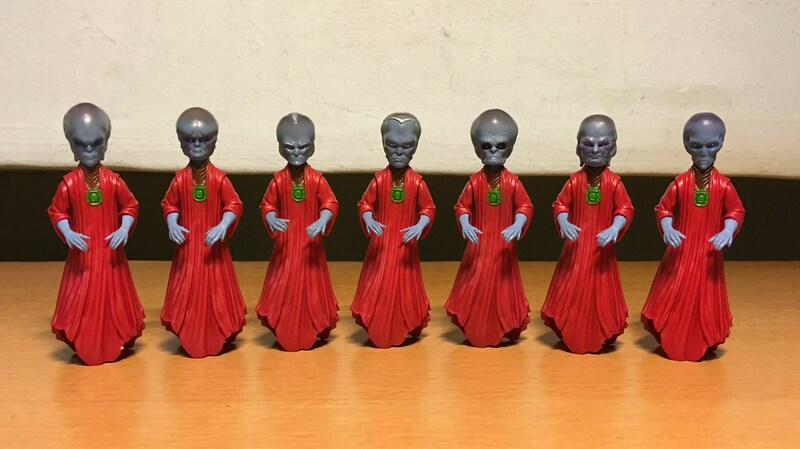 It took a while, but I’ve finally acquired all the Guardians – Guardians of the Universe, that is. 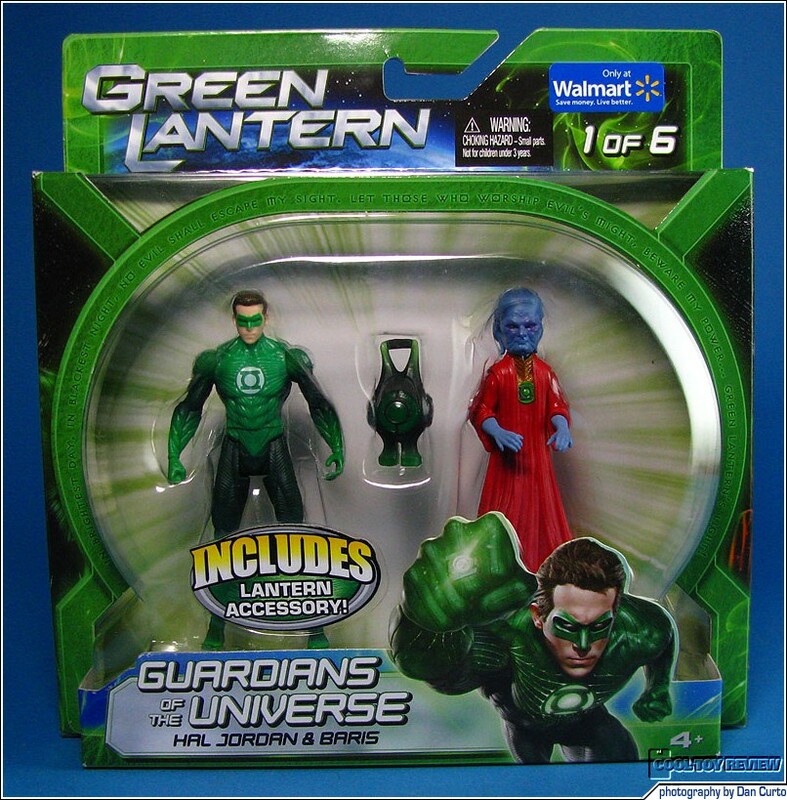 Apart from Krona who was released as a single-pack, the other six Guardians were released as Walmart Exclusive 2-packs, with each Guardian accompanied by a Green Lantern figure together with a power source accessory. Sets 4, 5, 6 seem to be rather obscure, I can’t find any images of them online, but there’s a good write-up about them over here. 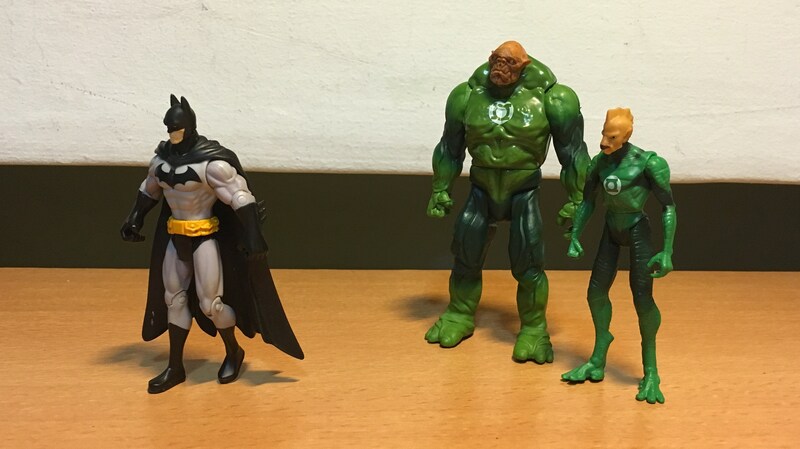 Rather than double-dipping and getting yet another Green Lantern figure that I already had, I have acquired the Guardians as loose figures from a seller on ChinaBay, and also from a seller on the local Carousel marketplace mobile app, who probably got them from eBay in the first place. 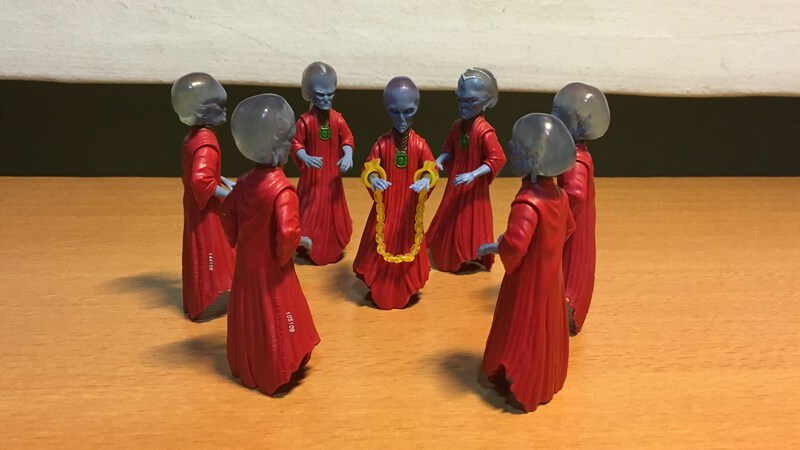 As adapted from the DC Comics, in the “Green Lantern” movie, the Guardians are short, blue-skinned white-haired humanoids who reside on the planet Oa, said to be located at “the center of the Universe”. 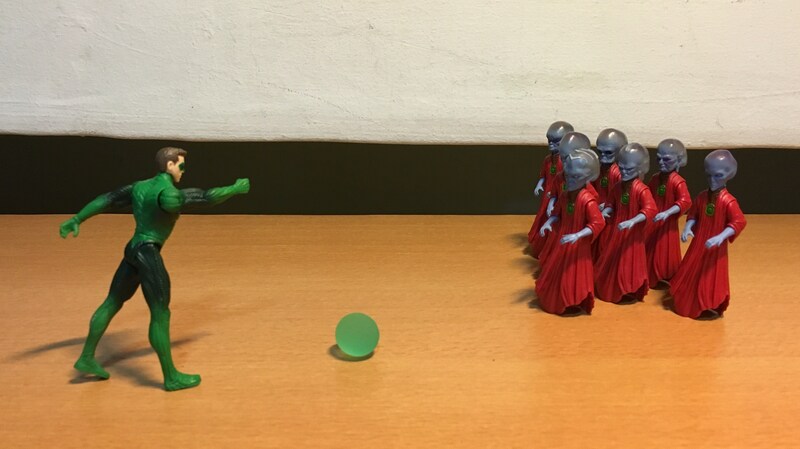 The Guardians are apparently immortal, and they have established the Green Lantern corp to combat evil and create an orderly universe. Nine Guardians appear in the movie, seated on their thrones at the Guardian Citadel on Oa. A tenth throne appears vacant and destroyed, implied to belong to the fallen Guardian Krona, who had been corrupted by the power of fear and had became the evil entity Parallax. The Guardians in “Green Lantern”, image scanned from the behind-the-scenes book “Constructing Green Lantern: From Page to Screen”. 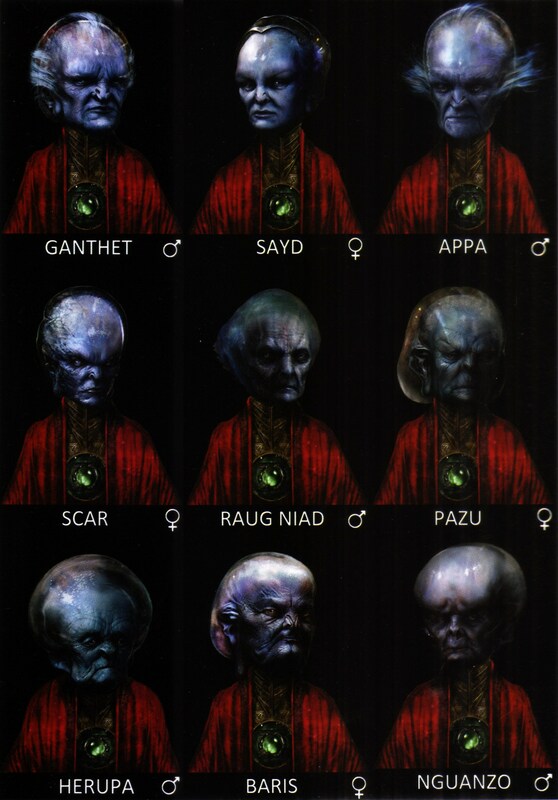 Compared with the list of Guardian figures, we don’t see Ranakar here. It seems Ranakar is based on the Guardian character from the comics. Raug Niad and Nguanzo are new to the film, the name Raug Niad an anagram of the word Guardian, and Nguanzo is named after Ozzy Inguanzo, the film’s researcher and asset manager, also the author of the above-mentioned book. Interesting note: The original comic book Guardians were modeled after the first Prime Minister of Israel David Ben-Gurion. The Guardians confront Krona for his crimes. This is what I think of the stability of the Guardian figures when they stand on their robes.